Tomorrow is Mother’s Day. Mama hopes you thank the Party Gods for your mama every day. 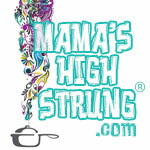 Mama certainly does… because if it wasn’t for your mama, you wouldn’t be reading this right now. Remember when you were little and you used to make something in school for mom for Mother’s Day? My mama, Aba, had 9 children. I’ll let that soak in for a minute. Anyway, last time I was in Texas we were cleaning out some boxes and I found a tempera-painted paper-mache corsage I made for her when I was eight. Aba kept everything, and I do mean everything. That’s a lot of tchotchkes. Back then, I had no idea why she saved all that stuff. I’ll admit…I have kept a few things from my own kids. Like that tiny clay pinch pot Carlos made in kindergarten… and that turquoise bowl Alix made in fifth grade. I’ve got a ton of art work from Drew and Matt, and a little wooden box from Sistie that says “I love you” all over it. Well, if you are lucky and your mom lives nearby, whip up these easy scones and share them with her on mother’s day. 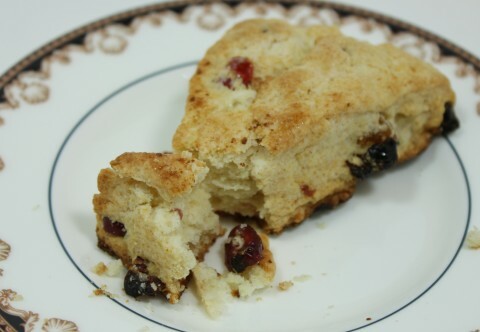 This recipe is like a true English scone… so it is not as sweet and cakey as American scones. But I promise you, this will be one gift that will disappear! Pulse the flour, sugar, cinnamon, baking powder and salt in a food processor with the metal blade for 10 seconds. Remove the processor cover and dot the flour mixture with the butter; cover and pulse for 10 seconds. Add the cranberries and pulse for another 10 seconds. Pour the mixture into a large bowl and gradually stir in the cream. 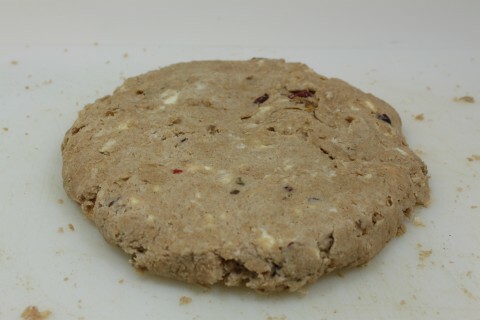 Place the dough on a cutting board; knead it to form a disc about ¾ in.-thick. Cut dough into 12 wedges and place on an ungreased baking sheet. Bake until light brown, about 15 minutes. Watch the scones carefully because the butter may make the bottoms burn! Remove from baking sheet and cool. • To add a pretty glaze to your scones, beat one egg and ½ teaspoon sugar in a small bowl. Brush on top of scones just before baking.